Uncapped Podcast: Sit back, relax and enjoy a beer — usually in the middle of the day — with "The Uncapped Podcast." Area brewmasters and distillers bring their growlers into the FNP Podcast studio for an unfiltered discussion with host Chris Sands about their ales, porters, lagers and what inspires their craft. Frederick Uncut: Long-form weekly interview with area news-makers and personalities. While touching on the topics of the day, these interviews also delve into the unknown sides of some of Frederick's most recognizable names. Frederick Playlist: The Frederick Playlist podcast shines a light on local original music with live performances and extensive interviews spotlighting the area’s best musicians. The Final Score: News-Post sports reporter Greg Swatek breaks down the local sports scene, inviting coaches and athletes onto this weekly podcast for in-depth interviews. Swatek is also joined weekly by another member of the FNP sports staff to discuss topics of interest in the sports world on the local, regional and national level. 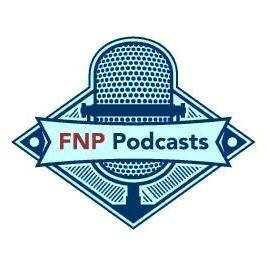 FNP Podcasts are produced by The Frederick News-Post.